This adorable play-along soft toy from the world of Beatrix Potter features wonderfully soft fur, a lifelike design and mesmerising peek-a-boo action. 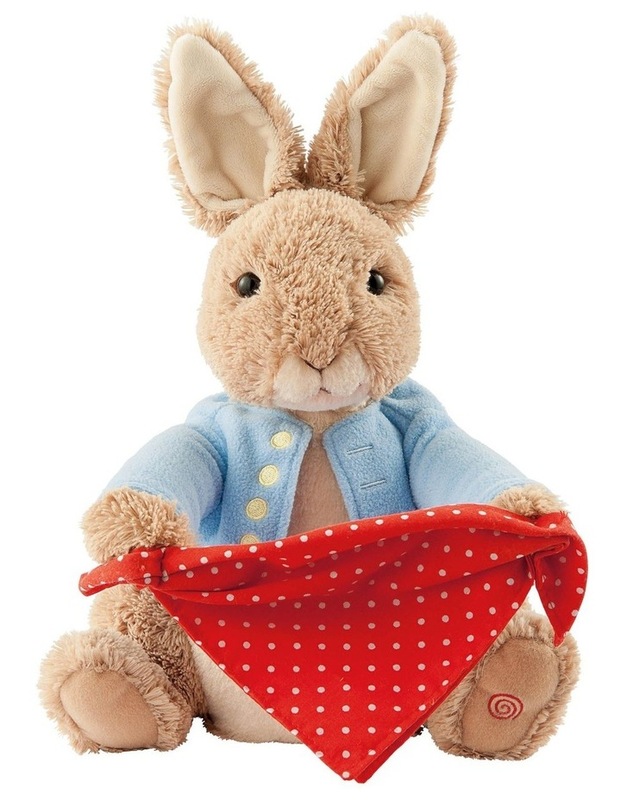 With luxuriously soft fur, a bright red handkerchief and his famous baby-blue jacket, this Peter Rabbit soft toy is an enchanting keepsake for babies and young children. Watch as Peter Rabbit plays peek-a-boo with you, lifting his handkerchief up and down and speaking adorable words and phrases.